We haven't managed to see real-world results for the EcoBoost Edge that approach its 30-mpg highway rating. You'll need to have a light load and the figurative egg under your foot. 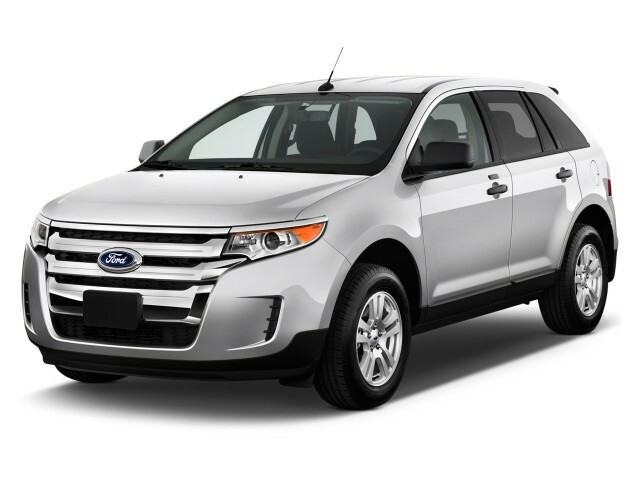 An exceptionally comfortable interior, great connectivity, and a 30-mpg turbo model succeed in elevating the 2014 Ford Edge above the crossover clutter. 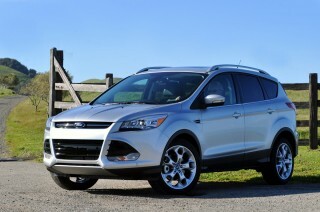 The Ford Edge is a five-passenger crossover that couples SUV space with a carlike driving feel. It's a less rugged-looking alternative to the big Explorer crossover, but bigger than Ford's Escape compact ute. Essentially a tall-roofed family wagon, with a spacious tech-connected interior and punchy yet fuel-efficient powertrains, the Edge remains a good pick for small families, or empty nesters who need a little extra space. Considering the Explorer, Flex, and Escape, Ford now has four different crossovers, each with a slightly different style and focus. As for the Edge, it's a little more rounded in profile yet very well-dressed when it comes to the details. The VW-style grille that starts high at the hoodline and goes low--all the way to the chin spoiler--isn't one of the Edge's high points, in our opinion, but otherwise the design is a winner inside and out, with a mix of sharp sheetmetal and pleasing contours. The cabin is pretty much a fault-free-zone--at least putting whatever your thoughts are about the MyFord Touch interface aside. The upgraded cabin materials and smoother look that Ford introduced for 2011 still stand up well today. 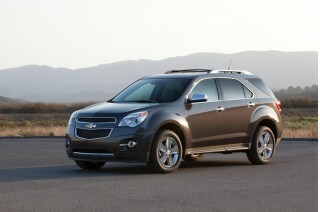 At the base level, the Edge moves briskly with its 285-horsepower, 3.5-liter V-6 and six-speed automatic. The Sport model upgrades to a 3.7-liter making 305 hp, as well as upgraded handling, while those looking for better fuel economy will want the new 2.0-liter turbocharged EcoBoost four, rated at 240 hp. With it, the Edge gets a lineup-leading highway gas mileage of 30 mpg. 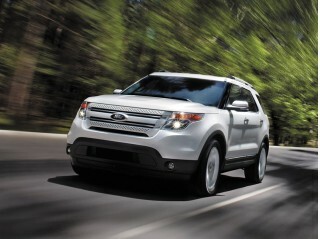 Altogether, it neatly bridges the five-seat experience now from Escape to Explorer. In terms of ride and handling, the Edge drives like a car with a high seating position. Ride quality tends to be on the firm side, but not at all busy, while steering response is quick yet relaxed on the highway. 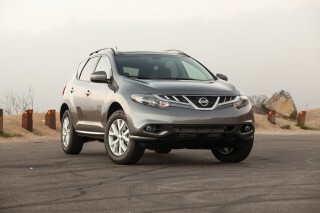 Its secure, predictable, and responsive driving character makes it a great choice for busy family commuters. The Edge Sport, with its massive 22-inch wheels, may be a little less comfort-oriented, but it's compliant enough for most. Comfort and infotainment features are abundant, though. All Edges get a USB port for music players; a capless fuel filler; and MyKey, which lets parents program in speed and volume limits for their younger drivers. MyFord Touch also replaces dozens of buttons and switches with voice controls, steering-wheel controls, and touch-screen menus. Options on the Edge include a fantastic glass Vista Roof, adaptive cruise control, leather upholstery (where it's not standard), blind-spot monitors, and on the SEL, a power tailgate. The Insurance Institute for Highway Safety calls the Edge a Top Safety Pick, although in federal testing its four-star overall rating and three-star frontal rating are far from segment-leading. The Edge can be upgraded with blind-spot monitors, parking sensors and a rearview camera, but it lacks the latest options for features like the inflatable rear seatbelts found on the seven-seat Explorer and Flex crossovers. One final note: An all-new Edge is on the way. Ford has already previewed the redesigned 2015 Edge -- in the form of the Ford Edge Concept that made its debut this past year at the Los Angeles Auto Show. There’s nothing particularly new or head-turning about the Edge’s stance or silhouette, but inside its collection of fine details and soft-touch surfaces do give this model an edge from inside. Crossover vehicles have rapidly evolved. 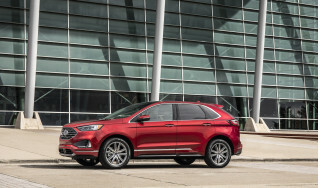 If at first they were more practical streetwise alternatives to SUVs, they've now shaken off any of those rugged styling cues entirely--and the Ford Edge has been, to its name, right at the forefront of that styling transition. The Ford Edge hews exactly to the template, with soft contours complemented by a few crisp edges and surfaces here and there. Today's version isn't so different from the first-generation model that tooled the streets from the 2006 to 2010 model years, but it still looks reasonably fresh on the outside. Except up front. The massive grille takes up even more space than before, going from hibachi to full kamado in the span of one model year. Ford started with a VW-like front-end appearance here, then expanded it, expanding the inlet almost to the bottom of its wide chin. It remains an outsized challenge to the rest of the clean, almost plain design. Overall, the Edge has changed very little since its last makeover in 2011. The latest design has better materials inside, with softer-touch plastics and a finer aesthetic appeal, combined with less blocky shapes inside. The mock carbon fiber trim found on SE and SEL editions is one of the few trims we find somewhat at odds with the upgrade. On Limited models there are vertical strips of woodgrain on Limited models, giving the console an architectural lift as the real wood trim does in a Range Rover, and the stack itself has been cleaned up to incorporate an LCD screen, sized medium or large, depending on whether MyFord Touch has been installed. Black-tinted metallic trim, a body kit, and grey inserts on the seats, with contrasting stitching, altogether help give the Edge Sport a quite different look. On any model where it's fitted, the optional Sony sound system sits behind a glossy black panel on the center stack, and lends some high-end audio look to the design. With the 2015 Ford Edge, you have a lot of choice as to what’s under the hood; and no matter which you choose, you get precise steering and great handling on par with premium-brand German crossovers. From light urban driving to fully-laden interstate tasks, the 2014 Ford Edge has you covered for performance--with a choice of V-6 or turbo four-cylinder engines, as well as confident handling no matter which model you choose. A 285-horsepower, 3.5-liter V-6 is standard on the Edge SE and SEL; it's torquey enough to take advantage of the six-speed automatic that's standard across the Edge lineup, and the transmission's now fitted with sport-shift modes. The base drivetrain's fine for cruising, though it's set up with quick throttle tip-in, which means abrupt transitions from a full stop to even moderate acceleration, which can make urban driving feel a little more jerky than it needs to. 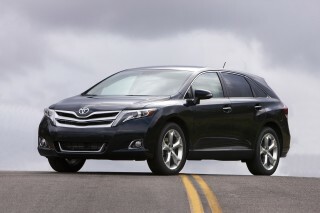 All-wheel-drive is offered through most of the model line--even on the base SE. The Edge already weighs more than 4,000 pounds, so unless you're faced with regular winter weather, we'd recommend you skip the almost 200 extra pounds of all-wheel-drive hardware. It's a drain on acceleration and gas mileage. On the SE or SEL, for $995, you can get a turbocharged engine that's smaller in displacement and less powerful than the base six. With 240 horsepower, this EcoBoost four has the six-speed automatic, but only is offered with front-wheel drive. Provided you're not carrying a full load, the Edge feels nearly as perky as V-6 models (it's at most a second slower to 60 mph, Ford says). 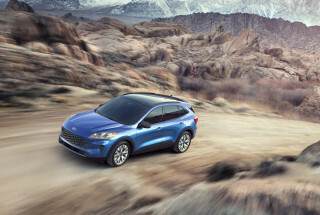 And the big gains come at the gas pump, where The turbo's tuned for low-end boost, so the power losses aren't all that noticeable when the Edge is carrying just a passenger or two; Ford says it's only at most, a second slower to 60 mph than the V-6-powered Edge. The gain comes at the gas pump, where the four-cylinder turns in EPA ratings of 21/30 mpg. The Edge Sport steps up to a 3.7-liter V-6 with 305 horsepower. It's pretty much the same engine as the one in the base Mustang pony car. With paddle shifters, it's the straight-line runner of the group, but fuel economy drops a lot, especially with all-wheel drive; and we're not convinced that in most kinds of driving it will feel that much stronger than the base engine. Overall, the Edge handles decently well; it's more reassuring and buttoned-down than sport-utes like the Expedition, but just can't respond like a sports sedan, with its height and weight. Not even the Sport model, with its huge 22-inch wheels and stiffer suspension, can generate all that much excitement. The 2015 Ford Edge has all the spaciousness and versatility you’d expect in a crossover—as well as a quiet, refined cabin—although seating comfort could use some more attention. The Edge is a five-passenger vehicle. 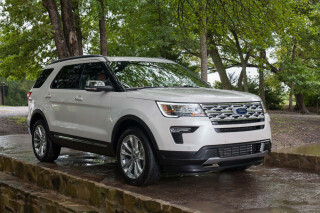 There's no third-row seat to be found, and Ford leaves the seven- and eight-passenger duties to its bigger Flex and Explorer crossovers, even to the Expedition SUV. 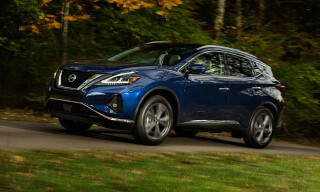 Considering that, it's one of the larger crossovers in its class--which means adult-sized space even in the back seat, even without the benefit of a sliding rear seat. There's plenty of headroom and legroom all around. Ride quality is impressive in the Edge--firm but not harsh--even considering the huge 22-inch wheels that come in Sport models. Ford's interior materials have gone drastically upscale since the Edge first was introduced in 2005. It's now on par with the pricey Flex. In front, the Edge has power seats, with power adjustment for both cushions on the driver's side. They're wide and a little flat, well sized for American tastes and for the kind of use the Edge will likely see. Step-in height is perfect for medium-sized adults, and not too high for pre-teens big enough to ride up front. You can get dual 10-way power seats on upper-trim models. The second-row seat--there's no third-row bench, remember--has excellent leg room. Ford claims it's best in class, and we're inclined to agree after spending hours with the similarly sized MKX on a weeklong family outing. Two adults will have exceptional room, and enough space between them for a child booster seat. The seatbacks in the second row also recline, for more comfortable long-distance cruising. It also folds down to boost the Edge's cargo hold from 32.2 cubic feet to more than 68 cubic feet. You'll bankrupt yourself at Costco before you exhaust the Edge's two-seat cargo capacity. You’ll be hard-pressed to find a any crossover with a non-luxury badge that packs in as much safety technology as the 2015 Ford Edge. Crash-test scores for the 2014 Ford Edge aren't anywhere near class-leading; but its safety set is comprehensive. The Insurance Institute for Highway Safety gives the Edge top 'good' scores in all major categories (it hasn't yet been tested in the new small overlap frontal test, however); although in federal testing its four-star overall rating and three-star frontal rating are far from segment-leading. You won't find the inflatable rear seat belts that Ford is offering in the larger Explorer, but there's plenty else here. Ford does offer a blind-spot monitor system, which flashes a light on the outside mirrors when a car in in the adjacent lane out of sight; cross-traffic alert can sense traffic approaching from the side when backing the car out of a parking space. Adaptive cruise control and collision warning are options; they use radar sensors to figure the distance to the car ahead and to detect imminent collisions. The 2015 Ford Edge sure can be loaded up with a lot of tech features, but it drives the price well into luxury-brand territory. A few new colors are really all that's new if you're looking for specific builds or combinations in the 2014 Ford Edge. It's been carried over mostly unchanged for the past couple of years. Even on the base SE you'll find a rich standard-feature list, including power windows, locks, and mirrors; an AM/FM/CD player with an auxiliary jack; 17-inch wheels; tilt/telescoping steering; and air conditioning. Moving up to the Edge SEL, you add satellite radio; rear parking sensors; power front seats; and SYNC, the Bluetooth-driven system that allows drivers to control audio and phone features with voice commands. An SEL Appearance Package offers leather seating with Alcantara trim; 20-inch wheels; and body-color trim on the grille. MyFord Touch is definitely a dramatic break from the swarm of buttons and knobs, and in our opinion it's in theory a superior setup to controller-based systems like iDrive, COMAND and MMI. But in execution, we've found frustration with a menu system that doesn't always deliver what you might have hoped. It's also possible to control those functions on the LCD touchscreen, which can be the least satisfying way because of the screen's slow responses and its crowded layouts. The capacitive sliders that have replaced some audio and climate functions are also somewhat disappointing and laggy. What saves this, most of the time, is an excellent advanced voice-control system. With more than 10,000 recognized voice commands, we've found it the best way to change functions without losing concentration on the road ahead. Want to hear a track? Just say "play Beyonce," and you're crazy in love in a few milliseconds. The 2015 Ford Edge makes the company’s EcoBoost turbocharged four-cylinder engine easier to get—although by the numbers, it’s still mid-pack in its segment. Gas mileage is actually quite good in the 2014 Edge crossover--especially if you forgo the V-6 and all-wheel drive in favor of one of a front-wheel-drive model with the new EcoBoost four. That economical engine isn't the base offering, though. It's an option on Edge SE models and on higher trim levels. The turbocharged 2.0-liter four teams with a six-speed automatic to channel 240 horsepower and 270 pound-feet of torque to the front wheels for a best-in-lineup 21/30-mpg rating from the EPA. With that engine you also get lower rolling-resistance 18-inch tires to cut down on friction, while it also employs an active aerodynamic grill that closes at lower engine temperatures, improving airflow and reducing drag. 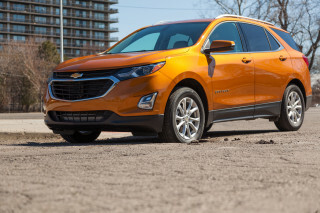 That's an excellent set of numbers for the five-passenger crossover market, though vehicles like the Chevy Equinox and GMC Terrain post even higher highway numbers. I love my new ford edge!